Introducing HELIOS, the new line of energy-harvesting VAV diffusers that creates a new standard of individual comfort and control for indoor environments. Powered by the same ambient energy-harvesting technology as our popular EOS diffusers, HELIOS is easy to install, requiring no special wiring or ductwork. That saves money! Wherever individual indoor comfort is needed, HELIOS is a perfect solution. It’s easy to install. Each individual unit uses a unique digital logic system so it can operate on a narrow temperature band, giving more unique zones and much greater user control. Gone the days of inter-office thermostat feuds. 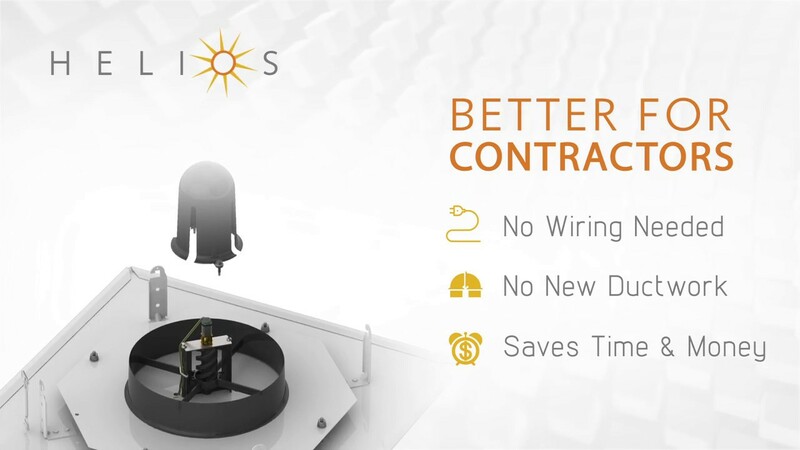 HELIOS solves many problems for engineers and contractors. The individual comfort functionality addresses LEED EQ Credit 6.2, while the fact that units require no outside electrical power means complying with LEED EA Credit 1, too. HELIOS is perfect for retrofits, particularly those that include areas with comfort issues. If your project involves working in a LEED-certified building, then HELIOS is well worth taking a close look at. Talk to a representative today about the Titus Helios!